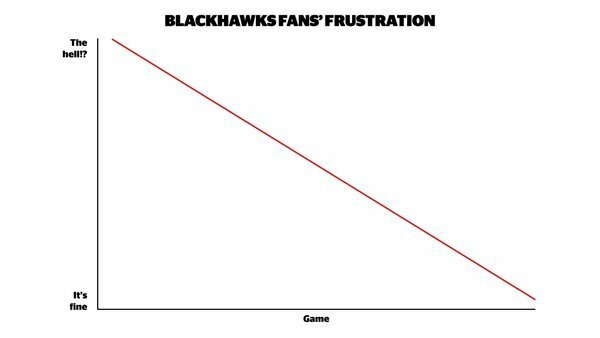 The Hawks fended off elimination once. Can they do it twice and force a Game 7? Penalty killed and that's it for the second period! 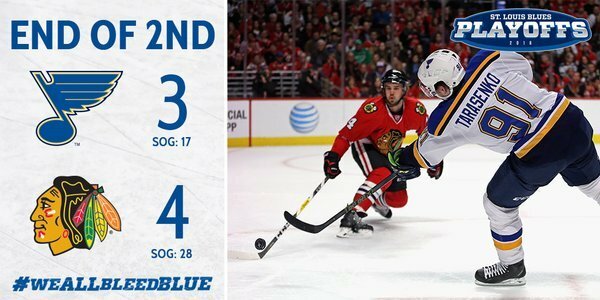 The #Blackhawks take a 4-3 lead into the third with their season on the line. 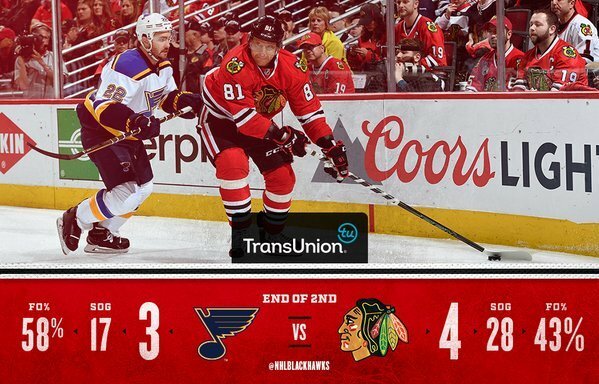 Shots were 19-6 Hawks in that period. 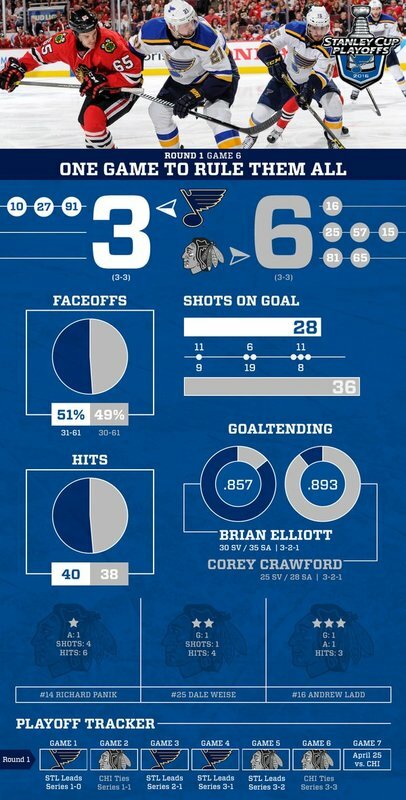 #Blackhawks had 19 shots in the second period versus the Blues 7. Damn. 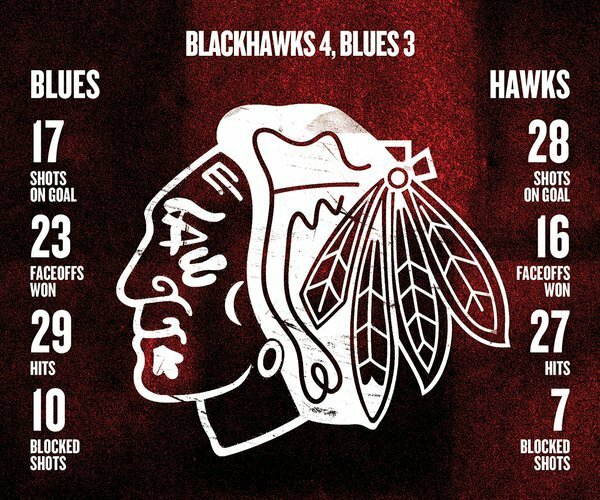 Puck drop for Game 7 between #Blackhawks and Blues on Monday set for 7:30 p.m.
.@daleweise22 on being part of these Blackhawks: "It's special. It's a special group." Ott feeds Upshall to get the #stlblues on the board in tonight's @WarriorHockey Play of the Game.